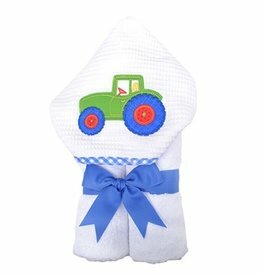 A favorite gift set features a super absorbent appliqued burp cloth and a coordinating fabric bib that is backed in 100% thick cotton terry. 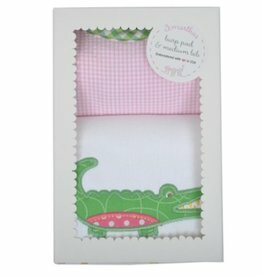 It comes beautifully packaged in a signature gift box, making it a great gift-on-the-go! 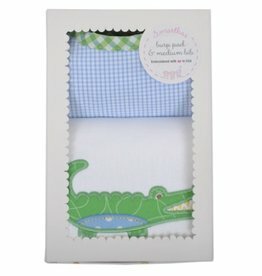 Get your baby gator ready for game day with this adorable little blue and white striped bib. 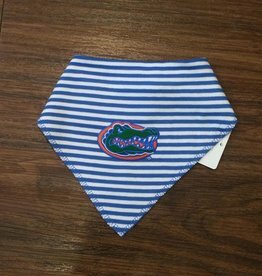 Embroidered with the University of Florida logo. Stunning gift! 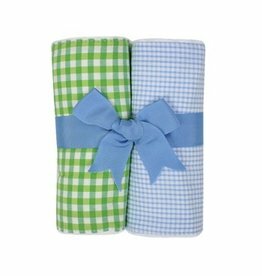 This blanket will provide a plush feeling for your baby and keep them warm and cozy. 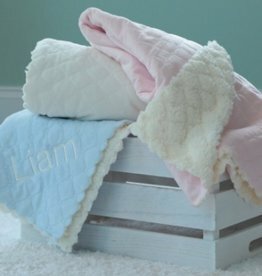 These blankets are available in soft colors with reverse texture of the faux sherpa.